Ultrascope USB is the single-channel ultrasound system with highest performance in its market range. Its easy to use and intuitive software (UltraView) includes all the functionality ( A-scan, B-scan ,C-scan, Peak detection, TGC, etc.) needed to take advantage of the equipment capabilities. 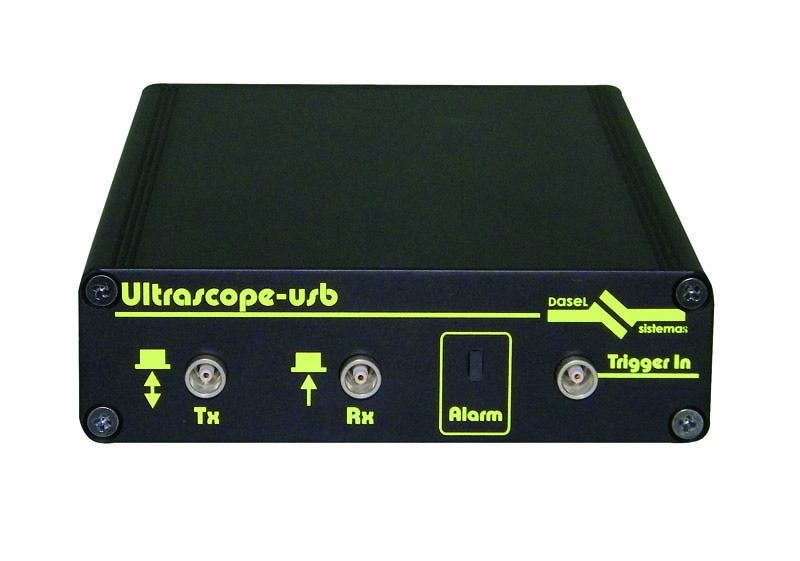 The standard USB 2.0 connection along with its reduced size and height and a robust enclosure, make Ultrascope the ideal system for on field inspections. 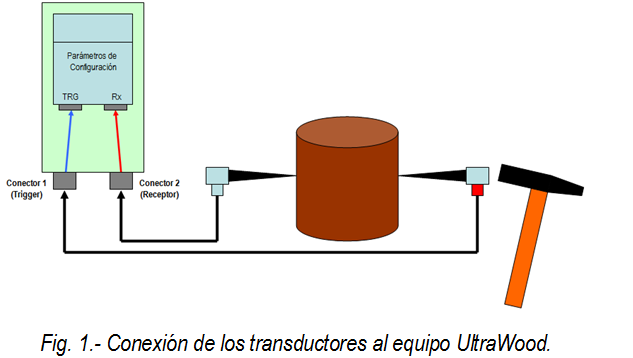 Furthermore, the possibility to control the equipment from several programming environments makes it easy to customize and integrate in laboratory and industrial applications. 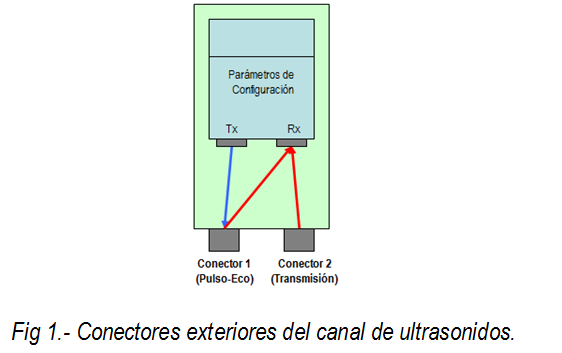 The UltraScope USB system has 1 UT channel with 2 connectors, to use the system in pulse-echo mode, emitting and receiving for the same connector (connector 1) or in the transmission mode using one connector for emission (connector 1) and using the other one for reception (connector 2). 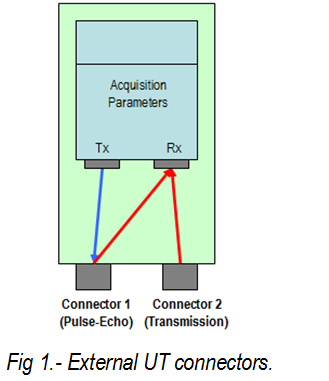 - Band-Pass filter with programmable cut-off frequencies. - Scan compression with Non-Peak-Loss compression algorithm, up to 128:1 compression rate. - Programmable hardware and software gates to detect of the maximum or minimum. - Acquisition information data in real-time: A-scan, B-scan, peak position and amplitude (gates), encoders count. o Library with functions to program de system C++, Visual Studio, Borlandc, LabVIEW®, MATLAB®, Python, etc.